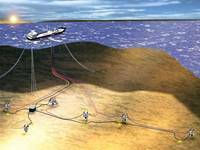 Brazil’s National Operator, Petrobras has been experimenting with advanced Water-Alternating-Gas injection in a number of offshore plays and recently at the Rio O&G 2014, Petrobras’ Pre-salt manager confirmed that the super-major will be using the technology at most, if not all of its pre-salt plays. The WAG injection process aims to recover more oil from a reservoir and also to recover oil more efficiently. The technology was originally intended to improve sweep efficiency during gas flooding, with intermittent slugs of water and gas designed by and large to follow the same route through the reservoir. Variants include injecting gas as a supplement to water or vice versa, primarily to reach other parts of the reservoir. 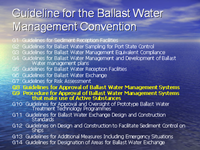 Ballast water is used to stabilize ships at sea, being pumped-in to weigh down a ship for safe navigational conditions when the ships hull is not filled with cargo for a voyage. Controlling the amount of ballast water embarked helps to reduce stress on the hull while providing transverse stability when underway. The correct use of ballast also makes ship propulsion more efficient and increases maneuverability. By correctly controlling the amount and location of ballast within the hull an officer can compensate for weight lost due to fuel and water consumption during a voyage, always maintaining optimum stability. Just by reading the paragraph above it becomes clear to any landlubber that ballast water is vital for safe ship operations. The recente Discovery of a shallow water pre-salt reservoir by Brazilian private operator OGX has definitely raised a few eye brows. This novelty is a first in Brazil as up to now all other pre-salt reservoirs have been found in ultradeep waters off the Brazilian coast and usually very far from the coast. This new discovery which is located in BM-S-57 Block, in the Santos Basin and is less than half the distance from the mainland as other pre-salt finds in the Santos Basin, exactly 102 km from the coast of Rio de Janeiro. The wellhead is only 155 meters deep and the well was drilled down to 6,135 meters, which is the normal depth where pre-salt reservoirs are expected to be found. 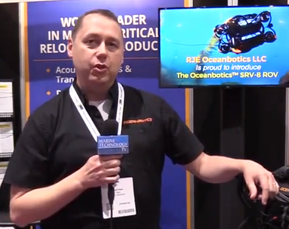 As work class ROVs used in the O&G industry and S&R missions reach new peaks in demand, small inspection class ROVs, better known as mini or micro ROVS are also becoming accessible to the general public. These light weight ROVs come in various shapes and sizes, although most models are limited to shallow water depths, there are exceptions and the probability is high that in the near future these MiniROVs will be capable of reaching deeper waters. Based in southern Ontario, Canada, Deep Trekker Inc. is specialized in the design and manufacture affordable subsea exploration tools, targeting the growing world consumer market for U/W exploration tools. Enhanced Oil Recovery (EOR) can increase the volume of recovered oil from a well mainly through the use of two distinct techniques. One is water injection, which is increasingly being used in mature fields and another is CO2 injection which is mostly used in deepwater fields and according to Petrobras will be extensively used at many of the pre-salt fields in Brazil, as these fields usually contain significant amounts of CO2 along with oil and gas. These are secondary production processes. The production process always refers to oil that is recovered naturally from a producing well, that is without the use of pressure or flow stimulants, such as water or CO2.